A giant planet – the existence of which was previously thought extremely unlikely – discovered around a small star by an international collaboration of astronomers last fall is the largest planet compared to the size of its host star ever discovered in the universe – it contradicts theories that a planet of this size could not form around such a small star. 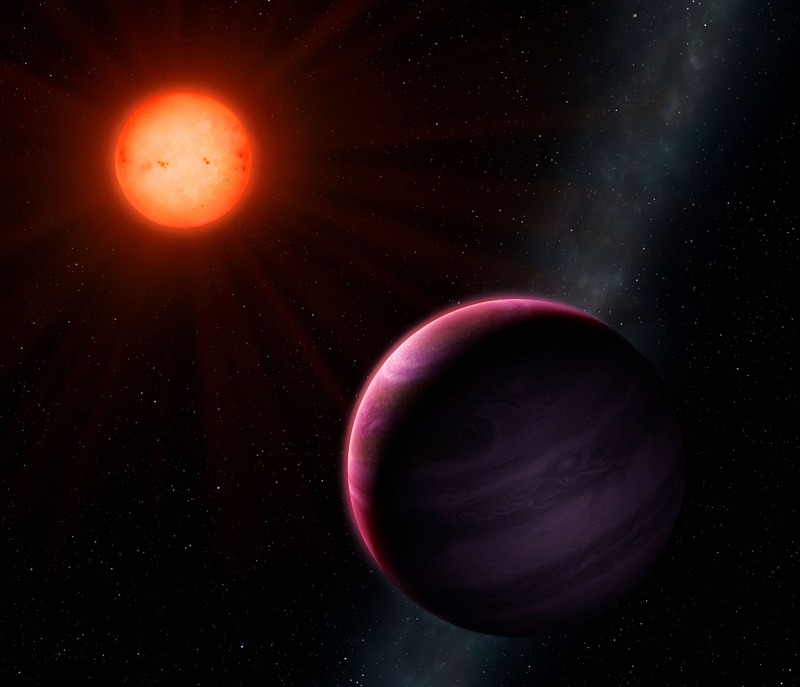 The research has identified the unusual planet NGTS-1b – the largest planet compared to the size of its companion star ever discovered in the universe. Discovered using the state-of-the-art Next-Generation Transit Survey observing facility, designed to search for transiting planets around bright stars. NGTS-1b is the facility’s first detection. NGTS-1b is 600 light years away from us – it is a gas giant the size of Jupiter which orbits a star only half the size of our Sun. NGTS-1b is a gas giant planet six hundred light years away, the size of Jupiter, and orbits a small star with a radius and mass half that of our Sun. Its existence challenges theories of planet formation which state that a planet of this size should not be formed by such a small star. According to these theories, small stars can readily form small rocky planets but do not gather enough material together to form larger Jupiter-sized planets.